All Oshrin Park (31-113) homes currently listed for sale in Tucson as of 04/23/2019 are shown below. You can change the search criteria at any time by pressing the 'Change Search' button below. 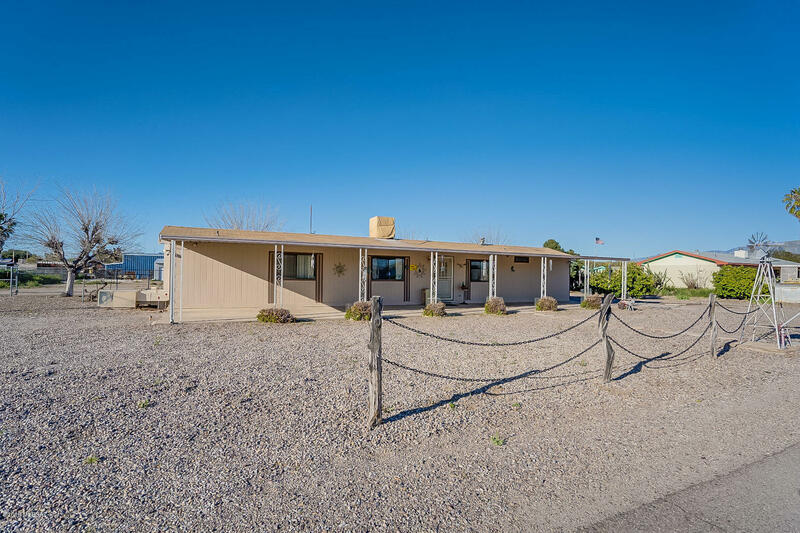 "Well maintained 2 Bedroom, 2 Bath manufactured Home with large arizona room on 1.26 acres. One acre is fully fenced and horses are allowed. It has a really nice shop with roll up door and concrete floor along with other that can be used as storage. Set in convenient location at I-10 and Cortaro Farms Rd - close to shopping, dining, movie theater and more with easy access to I-10."